Why would anyone think of learning how to fix fishing reel when they are just starting out? This used to be my mentality back then. The thing is every single time you spend on the water fishing, it is supposed to be a memorable one. But certain things like a damaged reel can make you return home empty-handed. I have discovered that people like us who are experienced anglers are not even immune from these issues with fishing tackles such as broken rods, twisted lines and even fishing reel not reeling in. These are some of the problems you might encounter, so you better get ready. In this post, I will show you how to fix your fishing reel whenever you face such problem while you are out there fishing. They are simple tips but helpful if you abide by them. 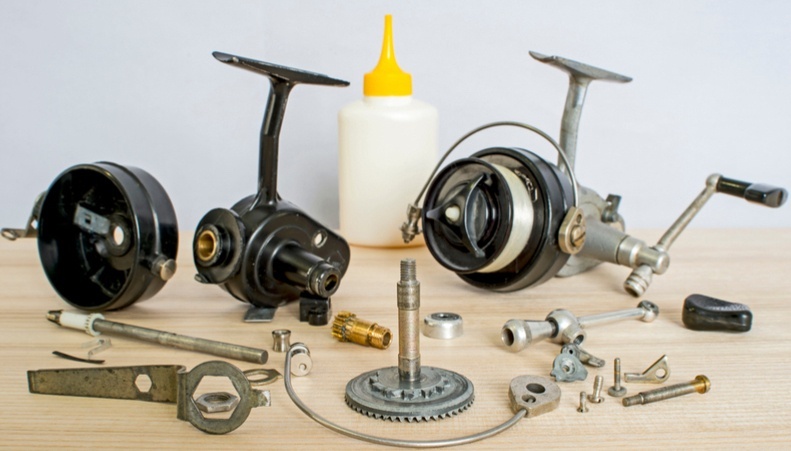 Whether you are after spinning reel repair or an entirely different problem, moving with the right tools will make things a bit easier for you. If you are replacing any broken part, visit any nearby sporting good or fishing tackle store. You might also order direct from the primary producers, but you certainly don't need this since you can get from the local retailers around. Here are the tools I advocate you move with if possible. They were the ones I got when I started learning how to fix fishing reel. Screwdrivers – Go for flathead and Philip screwdrivers. Pliers - This is the one I am using. If you have all your tools ready, then you can follow these tips to fix your spinning reel bail problem. I have experienced the Shimano spinning reel bail problems many times. It often occurs, even more than the others. Fixing it is also simple. You can do it on your own too. Use a screwdriver to remove the screws used to assemble the bail. If bail wire is what you intend replacing, take off the opposite screw also. But if you plan to replace the line roller bearing, taking down all the screw will not be necessary. When dismantling the bail arm assembly or any other part, take proper note of all the arrangement in the internal portion. You will need the knowledge when it's time to assemble the different components, and you don't want to get confused halfway. Clean each component of the line roller. Ensure no one has any form of dirt, debris, corrosion or rust. If the bail wire is what you are changing, then assemble all the line roller’s components step by step. If you are planning to change the bail assembly, what you need do is to first and foremost, ensure that the new bail has been attached with screw in the opposite direction of the line roller assembly before moving ahead. Now get the components of the line roller into the ball assembly. Use a suitable oil to keep the bearing of the line roller properly lubricated. Then I also oil after use to ensure it last longer and it has been working for me this way. At this point, you have completed the replacement of the bail assembly or line roller bearing. If you discover fishing reel bail not closing, you need to investigate to know the possible cause. It could be as a result of dirt, broken bail compress spring, or bail wire is no longer in the right shape. Discover what is our verdict on the Best Fishing Rod Brands. From the article, we have listed down the well-known brands in the fishing gear world. Learn more about the cool features of what each product offers. Distinguish which brand meets your expectations. I summoned the courage to learn how to fix fishing reel when I got stranded while fishing. Even if you are not a pro, you can repair your reels with ease. I didn't know what to do when I encountered my first reel damage. So, the only option I had was to go home empty for the day. It is painful to come home disappointed when other anglers around are looking up to you for advice and motivation from your catch. It is better to learn how to fix these things to avoid being stranded. Oh, and another thing, buying a good reel will definitely help a lot.